Located in the building where Greek hero of the Revolution Theodoros Kolokotronis stayed when he first settled in Athens, at 100 Adrianou Street, in the historic district of Plaka, Forget Me Not Athens opened in 2014 in order to create another form of "revolution" in the area of Greek design. In the two levels of the store, the visitor can find some of the best designed and smartest samples of contemporary Greek design, since the three partners host and represent the work of some of the most renowned, but also of those up and coming, designers who together form the identity of contemporary Greek design. Through a continuous quest, new designers are added frequently, and new products or brands can be found here, some on an exclusive basis, others on limited editions or collectible. Items seemingly different are linked and connected through their originality and high quality. 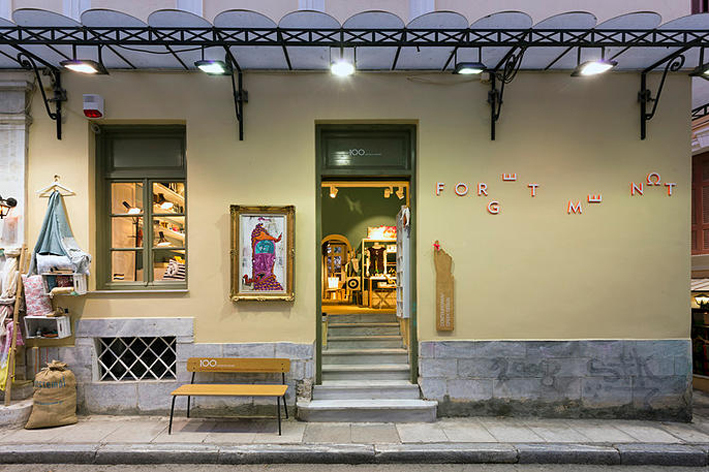 In case you are not planning to make it to Plaka any time soon, the three designers have created www.forgetmenotathens.gr. The e-shop presents new designs almost daily! 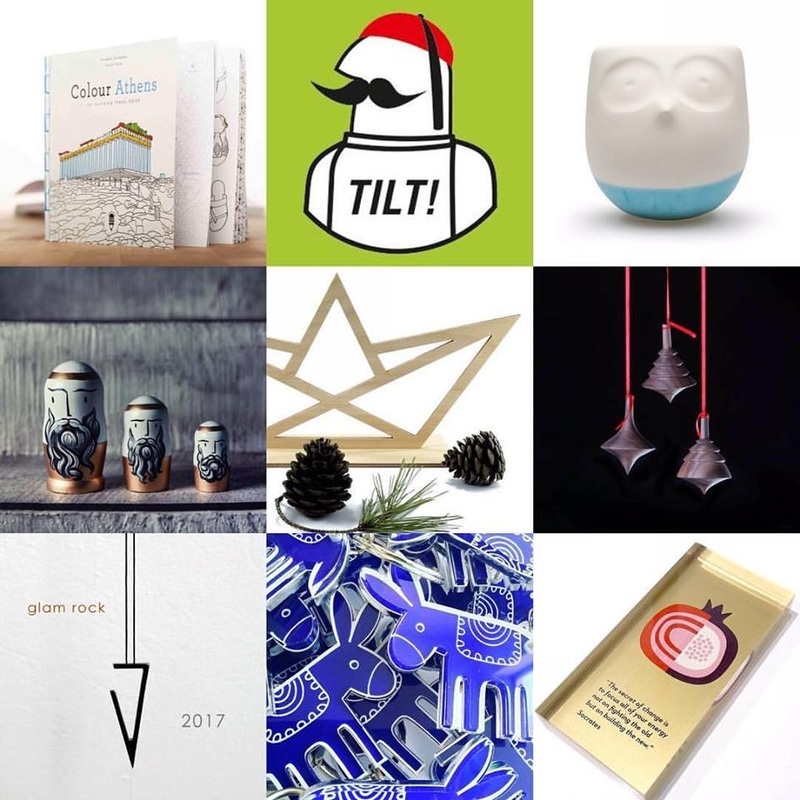 Christmas Picks now available online at Forget Me Not. 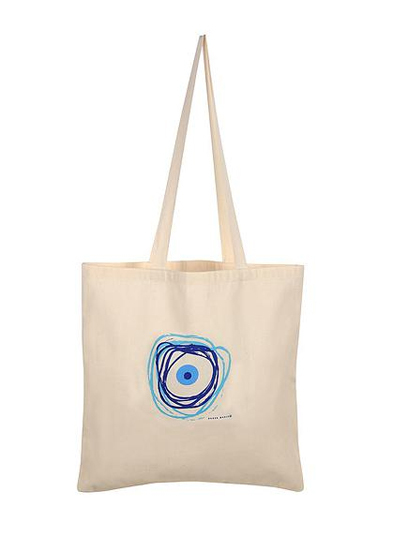 to keep away the evil eye as you go shopping! Silver color (alpaka) or gold (brass) plaque with hand-stamped lettering and leather cord with the coordinates of the City of Athens. Just like a stencil, Solar Souvenir is a leather armband with designed outcuts that allow sunrays to pass through and tan a temporary solar tattoo on your skin. Forget Me Not Athens on 100 Adrianou Street, Plaka, Athens.